Grammarly Alternatives - Everyone wants error free writing task whether it is an article or a book for publishing somewhere. They need the best quality in their work. For the best quality, every writing task should be error free, and it is possible now with various online proofreading tools like Grammarly or something else. 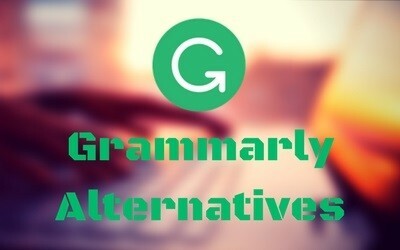 If you are using Grammarly and not much satisfied with its services, then this "GRAMMARLY ALTERNATIVES" article is just for you to find out further options. Grammarly is an online proofreading and plagiarism-detection tool for all the typewriters who want to enhance their writing skills by writing for once. And they want to proofread their contents before giving to others and checks the plagiarism for not to be ashamed in front of someone. Are you looking for some Grammarly Alternatives? Grammarly is bit expensive, almost monthly cost is $29. It can't match your content with substantial form database. It may don't provide the best quality as the users want. If you think same as I wrote it above, then you are at the right place for finding its Alternatives. We have an exclusive discount offer for Grammarly Premium. If you want to use its alternative because of high budget, then click on below button to activate 20% OFF discount offer right now. Ginger (proofreading tool) is the best alternative to Grammarly providing quite brilliant outcomes among teachers, students, writers, ghostwriter, and bloggers. Ginger's features are great that are available on the Windows, Android, Chrome, iOS, Mac, and Safari. Chrome extension is available for improving your writing skill online. You can install Ginger (Free or Premium) for Microsoft Office so that what you write it detects mistakes and highlight them very promptly. When you hover the mouse over that sentences, then it gives you right suggestions for improving that conviction. It can rephrase your sentence if it is not written in the proper structure. But it all depends on what version you have installed on your computer. In the free version, many features are missing but for Premium versions, you can use all the advanced features brilliantly. Cost: Grammarly charge $11.66 per month while Ginger costs only $8.74 per month. PaperRater is one of the substantial Grammarly Alternatives, and it works on the computer algorithms. It has no extension for any of the browser and no desktop version. You need to visit its site and put your text in the appeared box and get the report for that text. It underlines the mistakes which have grammar issues or misspelled. You need to put the original data as it already has the vast database of other published data. PaperRater has a free and premium version. You can check your text in the free version for the sake of finding prominent mistakes and misspelled words. It also has some limitations that you can't import more than five pages data in the free version. You can scan your text with its advanced features in the premium version even you can check the Plagiarism justs like Grammarly. ProWritingAid is another great grammarly alternative when your concern is the pricing of software. It is available in the free and premium versions. It can integrate easily with the Google Docs and MS Office even you can use its extension for your browsers so that you can analyze the text which you have written on Facebook, Gmail, Twitter, and WordPress. They also provide API access for developers that they can easily integrate it with their application. Just like Grammarly, they offer the UK, US, and general English language; you can use any of them as per your requirements. They also offer you plenty of styles such as blog post, academic and business writing. After installing its extension, you will see the small icon wherever you are writing. Just click on it and scan your text before posting it. If you don't want to install it on your browser, then you should go to the official site and sign up there and start scanning your content for free or premium. If your primary concern is pricing, then you can see the below image that what they are offering you, low price with many advanced features. 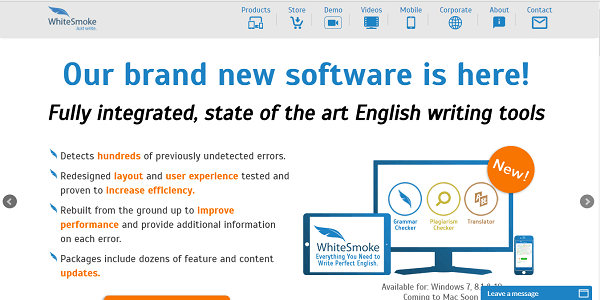 WhiteSmoke is an efficient proofreading tool for checking punctuation, grammar, spell checking and writing styles suggestions. It is available for all type platforms such as Windows, Mac, iOS, Android, and web browsers with more than 100 writing templates such as Thank You, Cover Letters, Reports, Condolence, and loads more. It also translates your text with a high probability of being accurate in more than 55 languages; the WhiteSmoke Translator is built on the Statistical Machine Translation. When you put your text in the editor, it highlights the mistakes, and when you hover the mouse over it, you can see the Grammar suggestions and punctuation correction. ​Cost: - WhiteSmoke is available in just $9.95 per month, and if you want to purchase it for a lifetime then the web plan comes in just $159.95. JetPack is a WordPress plugin for bloggers who have the content related website. Maybe you are already using this plugin if you are a blogger or you have a WordPress site. This plugin gives you many benefits such as tracking the site traffic, free themes and improve security along with proofreading features. It is the must have tool for WordPress bloggers that it resides in the post editor instead of checking content somewhere else. If you already have this plugin, then you can configure it by going to Users >Your Profile where you will see various options, and you just need to check the box what option you want to enable. You can see the following features list. The tool is super easy to use, and it also can proofread your content in English, Portuguese, German, Spanish, and French. OnlineCorrection is a free online grammar checker tool which saves you from embarrassment due to spell errors and grammatical mistakes. This tool analyzes your piece of content carefully and lists out all type mistakes in your copy of the content. After analyzing the errors it provides the suggested words for the sake of correction in a better quality to each sentence in every paragraph of your text. 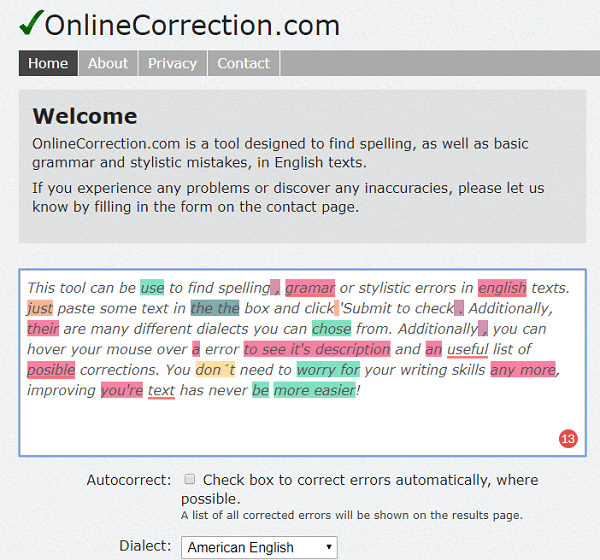 OnlineCorrection just provides the grammar, spell checker, style, punctuation, and plagiarism in your piece of text. They do not offer any premium version and there is no way to find the originality of the content. 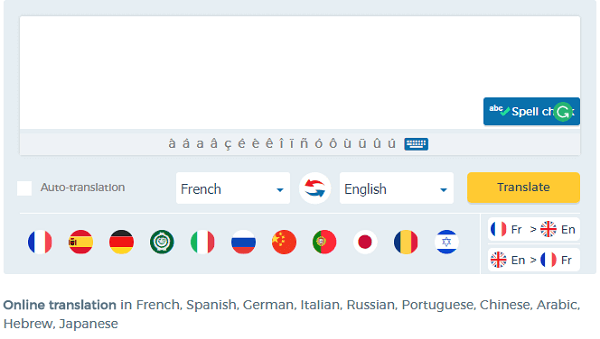 It doesn't only provide the correction features but it also supports multiple languages which are the best part of this online checker tool. It can proofread any text which written Italian, Spanish French, Polish, German, Russian, and Portuguese. Cost: This tool is totally free of cost. You can check multiple items anytime without paying any penny. It has no Premium Version. Slick Write is a very close alternative to Grammarly with the variety of features that make Slick Write worth to use it for correcting mistakes in English. You can use its Editor for checking mistakes in your text or just paste it in that editor then hit check from the sidebar. 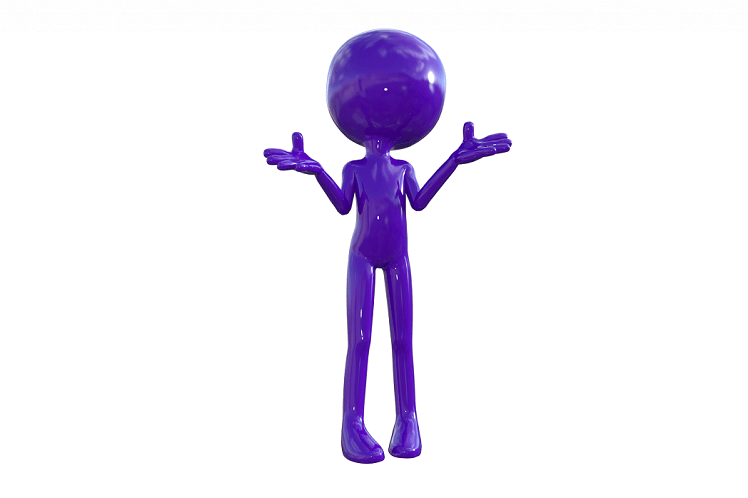 Slick Write will point out the various elements such as passive voice, adverbs, transition words, common starting words, and redundant sentences. Slick Write has multiple integrated options like when you select a word, a popup window will appear at the bottom so that you can choose to find the associated words from the dictionary. It also has Wikipedia and Google options to get more authentic information for any type of mistake. As we know that Readability is the most important thing in every article so that readers can easily read that thing otherwise it is useless for readers. You can enhance the readability by using Slick Writer sentence structure feature. This feature gives you suggestion about lengthy and complex sentences. You need to configure this tool before using it properly, just go to settings and check the boxes which you want to find in your text such as fixing spell mistakes, grammar errors, etc. The best thing about this software is that it shows the statistics of proofreading, in-depth aggregate analysis of your contents. It has no premium version so you can use its services free of cost. Cost: It is a free tool so you can use its services for free anytime. Here is another one of the best Grammarly Alternatives proofreading web-based tool called Reverso which is developed just an extension for Google Chrome. It has no desktop version, iOS, or Android app. You can use this tool via online. Just go to this site and put your text there for finding common errors. Now you are wondering that how is this software similar to Grammarly? Reverso has included synonyms options, conjugate, and integrated dictionary. For using these services, you need to select the text first then choose the option which you want to find in your text. In my opinion, it is best for those people who are just looking for synonyms and explore the web for their queries. How is if you find out at one place? It must be good for you. So go and grab it. Reverso supports multiple languages such as German, Spanish, Italian, Chinese, Japanse, Arabic Russian, and German. It means it can translate your text into multiple languages clearly. Use its Chrome extension, after installing the extension double tap on the icon and translate the content into 11 different languages. This helps you when you are facing language barriers in reading articles or any web page which is not your native language. As per my knowledge about this tool is that you can't rely on this tool if you are looking for the advanced grammar check. It can only work with translating contents into different languages. One thing more is that it only checks 600 characters at one time. 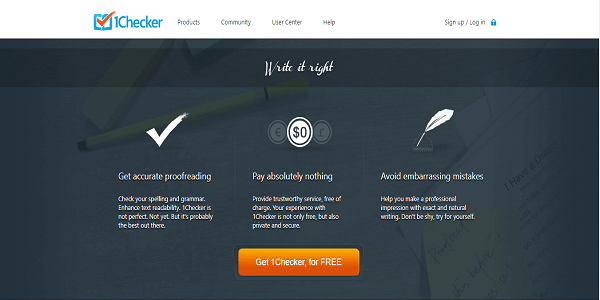 1Checker takes the position on number 9 in the top 10 Grammarly Alternatives list due to its flexible features. It has online and offline versions, you can use it online by going to its official websites or using it on the Windows and Mac in the form of Word and Outlook. Paste your piece of content in the editor and find out the mistakes, it shows the percentages of spell errors, Grammar, and other mistakes when you click on the "Review". 1Checker highlights the spell mistakes, Grammar errors, and present the tips for your mistakes so that you can correct all.For automatic correction, you can hit the "Apply All" if you don't want to check mistakes sentence by sentence. It provides plenty of templates related to communication and business by selecting the "Document Template" and fill in the blank at the left side. By doing this, it will generate the automatically fine copy of your document. It also supports translator which is powered by Bing and Google. Cost: It has no cost. You can use it for free just like a Grammarly free version to erase the wordiness, spell checker, and Grammar mistakes. 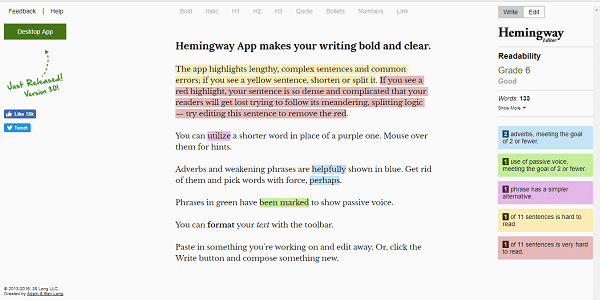 Hemingway is one of the best Grammarly Alternatives in this list which just focuses on increasing the readability of the content. It has both online and offline versions that means you can use the desktop app (which costs you $19.99 ) for enhancing the readability of your content. This tool is best for WordPress bloggers because it shows the content readability clearly after scanning the whole post. Paste your text in the editor, this tool will highlight the phrases in different colors. It also tells you that which sentence is hard to read and it provides suggestion to make it easy to read for everyone. It is just like a text editor where you will find the options like bold, italic, headings, bullets, and inserting the links. As Grammarly doesn't allow such options. It also denotes the passive voice from the sentences and enhancing the readability of your text. As I told you earlier, it is good for enhancing the readability of your text not Grammatically correct. So, I would like to suggest using another tool for correcting Grammatical errors. Cost: - $19.99 for a desktop app. 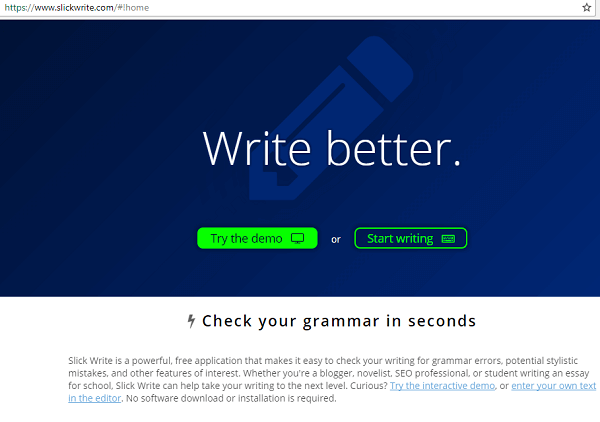 Dis you like these Grammarly Alternatives? I would like to say as per my experience with proofreading as mentioned previous tools that ProWritingAid and Ginger are worth to use. Both are reliable and less expensive than Grammarly, but both are providing features just like a Grammarly tool. 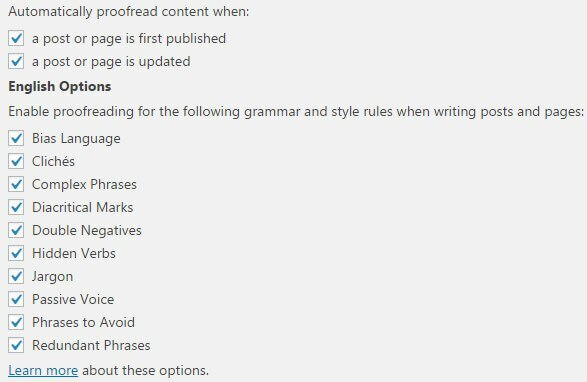 I suggest you first t﻿﻿ry Grammarly that is detecting simple to advance 400+ grammatical errors and vocabulary enhancement. Among the list, I'll recommend you to use Grammarly because it's really very incredible tool. Overall, Grammarly is best grammar checker tool I have ever used. If you are still not satisfied and can't afford Grammarly, then you should go for its alternatives that are mentioned above with detail. In last, I would like to ask if you have any Grammarly Alternative in your mind then don't hesitate to share with us in the comment section below. Before I started using Grammarly I never knew you could actually correct your English usage online. I find Grammarly awesome but the plan is way too expensive for a blogger like me. Thanks for this list, I will try out its alternatives. Thanks for sharing such a good list of software like Grammarly. I was in need of this list.